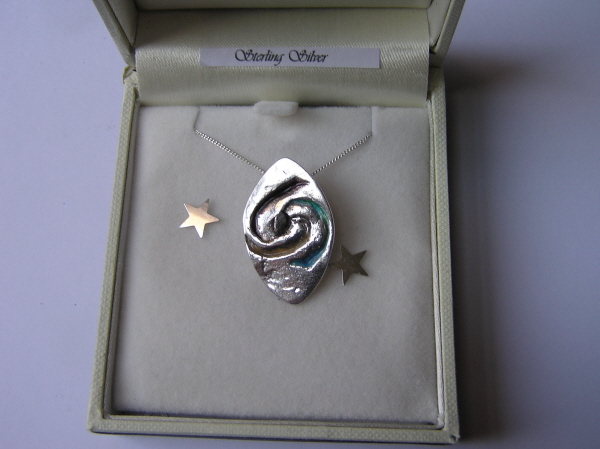 A solid silver oval set with a multi-coloured spiral Galaxy. Each arm is set with a different coloured enamel. At the centre is a fragment of real iron Campo Del Cielo meteorite. The pendant measures 3cm from top to bottom.